Yesterday was the 10th anniversary of Harry Potter and the Deathly Hallows. Ten years ago I was up at 3am coloring my hair (Tonks pink) for the launch party with Dymocks. The morning was a flurry of media interviews, choirs and singing, line parties, and fun. By 10am we were back in our hotel suites reading the final book in the Harry Potter series*. Pretty much everyone now knows me as a huge Harry Potter fan. 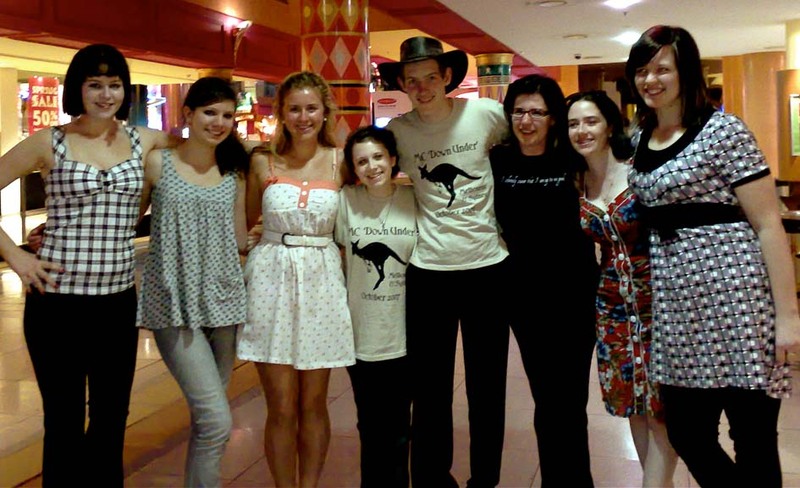 I either met them because of the boy wizard or from me using wizarding terms as everyday words. Even though I’ve barely been part of the fandom since leaving Australia. Books and mediocre movies aside, my life has definitely changed and benefitted from the Harry Potter series (and JK Rowling). Let me count the ways…. Ravenclaw-style. This one was easy, but listing them all would be hard. I’m even more fortunate than Luna; I can’t fit them all on a ceiling mural. You’ve all changed my life… for good. I’m also playing favorites and only naming Kathleen. She’s the bestest of best friends, even if she is a Gryffindor. 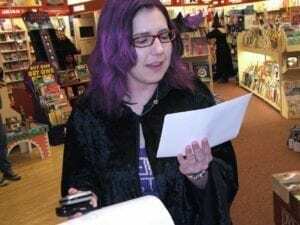 I fluked my way through launching HP Events Australia. I’m glad the fandom is nerdy enough to discuss book embargoes, otherwise, I may have broken the first time a reporter called. That said, I didn’t know I was a media contact on the Deathly Hallows launch press release until the first reporter called. I wanted to learn quickly, so it was back to school. All of my international travels started after reading the books. Fiji, New Caledonia, Singapore, United States, Canada. I’m not sure if pre-Harry Potter me would have been so willing to leap into different. Or be wondering where next. IV. The Best Nerd T-Shirt Collection. This last move included lots of cleaning out. Pretty much all my t-shirts now are Harry Potter shirts. Not intentional, it just happened. 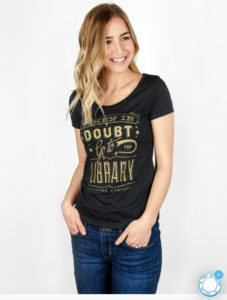 Including two versions of Out of Print’s When in Doubt Go to the Library shirt (Ravenclaw is the second, of course). 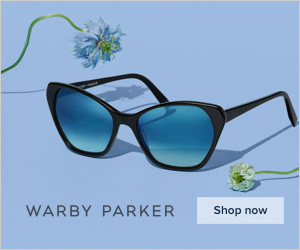 That’s an affiliate link giving you $5 off your first order. V. Learning to have nerve. “The thing about growing up with Fred and George, is that you sort of start thinking anything’s possible if you’ve got enough nerve.” While this was said by Ginny, over seven books I also grew up with Fred and George. The books, the fandom, the friends, all showed me that I do have enough nerve. We do not need magic to change the world, we carry all the power we need inside ourselves already: we have the power to imagine better. 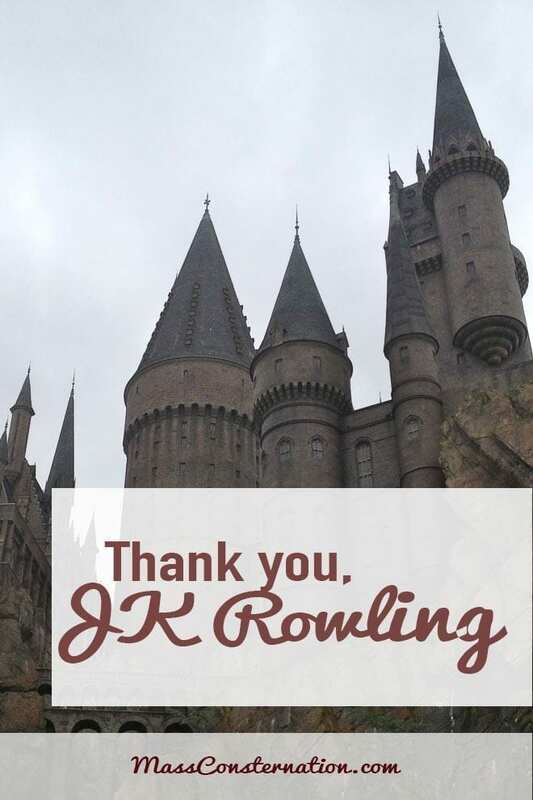 Thank you, JK Rowling, for show me and encouraging us all to imagine better. It worked, and I know I’m a better person for it. * Let’s count just the core books. * The Imagine Better quote is from JK Rowling’s 2008 Harvard Commencement speech. So true! Friends was something I never expected but truly cherish! Happy 10th anniversary! That bathroom will never be the same! I’m amused by the bathroom mentions, both here and on instagram. It must seem so random. Lesson of the book release: two cans of pink/purple hair spray leaves its mark – everywhere. I bought that copy of DH to States with me. Complete with hair spray smudges on most pages. Aww, this post gives me the warm fuzzies! Happy 10th B! ?? Happy 10th to you too Bean. Thank you for being part of all this. I’m glad you got warm fuzzier, because it’s all our stories. OK, no more soppiness. HP books have made us all a little happier. Cheers! Can we have Adorabelle high tea every day?